available and many hair care products cinnamon is very helpful for hair growth. Cinnamon is a natural way to treat our hair loss, dandruff and also to lighten our hair naturally. When we massage Cinnamon oil to our scalp it will stimulates our hair follicles. By regular used of Cinnamon in our hair care it will make our hair long, strong and beautiful. We can used Cinnamon oil it is a simple way to treat our hair. Cinnamon oil can be used to massage the scalp since it stimulates the hair follicles Cinnamon Oil is extracted from the bark and the leaves of the Cinnamon plant. 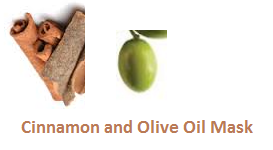 Cinnamon oil is rich in antimicrobial agent that help to treat itchy scalp and also dandruff. For your dry and brittle hair, hair loss Cinnamon oil is best to apply. To massage your scalp you must use other base oil/vegetable oil along with Cinnamon oil to massage your scalp of your hair that will improve the blood flow of your hair scalp and strengthen your hair growth. To massage your scalp you can buy a ready made hair oil which has cinnamon content in it or you can make your own by mixing cinnamon essential oil with other vegetable oil that suit for your hair. You must gently massage your scalp regularly at least 20 to 25 minutes before washing your hair massaging your scalp will help your hair to grow fast and will give a boost and a flow of blood to the scalp and also stimulates the hair follicles.Cinnamon is best and natural way to treat your hair growth and strengthen your hair but a warning if you have a allergy reaction on the scalp it will cause irritation so you must do a patch test before applying any type of oil on your scalp. To treat your hair from a hair fall and baldness you must use Cinnamon it is known for promoting your hair growth. To enjoy the benefits Cinnamon and Olive Oil Mask you need to prepare the mask by mixing 2 tbsp of pure olive oil with 1 tsp of cinnamon powder. Massage this mixture on your scalp for some time and leave it there for 30 minutes. Rinse your hair by using a mild shampoo. It may give you a tingling feeling in your scalp which is completely normal and natural. Before making the mask make sure to slightly heat the olive oil. 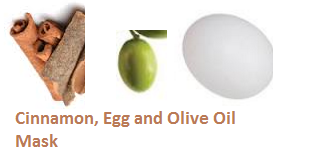 Adding an egg to the Cinnamon and Olive Oil Mask will make this mask more effective so you can add one egg to it. All you need to do is to beat the egg and mix it well with the warmed up olive oil and cinnamon powder mask. It will make the mash a bit thicker. Make sure you apply it on wet hair and comb your hair so there are no lump. You should keep it for 20 minutes and then wash your hair with a mild shampoo. Using this hair mask once a week will improve the growth of your hair. The mixture of Cinnamon, Honey and Olive Oil Mask can work amazing for your hair by reducing hair fall and improving hair growth. 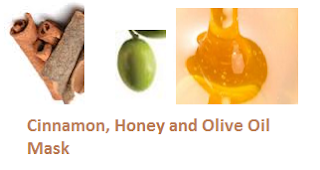 So in the previous hair mask that we made just replace the egg with pure honey and apply it on your scalp. Massage your scalp with the tip of your fingers for the first few minutes and let it sit there for the next 15 minutes. Finally rinse your hair with a mild shampoo of your choice. Popularly Cinnamon has been used for lightening hair color. If you want to lighten your hair cinnamon can be a best and natural solution. For this you just need to take 1 tsp of cinnamon powder and mix it well with 2 tbsp of your favorite hair conditioner. You must apply it all over your hair thoroughly and leave it overnight you should cover your entire head with a plastic or a shower cap. During the morning time just wash your hair with a good quality of shampoo at least twice. You must do it once every week.